Girlfriends Helping Girlfriends is an ongoing series that shines a virtual spotlight on girlfriends who have been helping girls and women. Ellen and her husband, Bill – she’s still married to her high school sweetheart – run Creative Women, the business she started 9 years ago out of their office in a converted mill on the banks of the Winooski River near Burlington, Vermont. 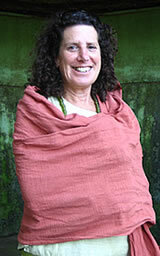 Creative Women sells beautiful textiles hand woven in Africa to stores all over the country. Ellen’s favorite quote is displayed on her website: “I believe that beautiful things are more beautiful when the people who make them are paid well and work in a safe environment. AtsGf/Rebecca: How did you wind up running your own business? 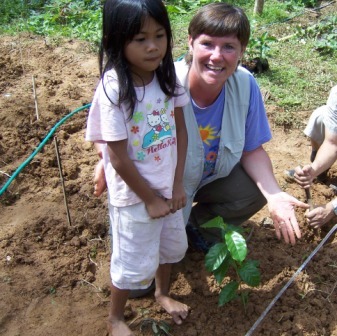 Ellen Dorsch: My background is in Public health program development. I had worked internationally in Africa, Russia and Ethiopia. I decided that by the time I was 60 I no longer wanted to be writing grants. I wanted to continue working with women and have an impact on their lives. I wanted to travel and I wanted to own my own business. 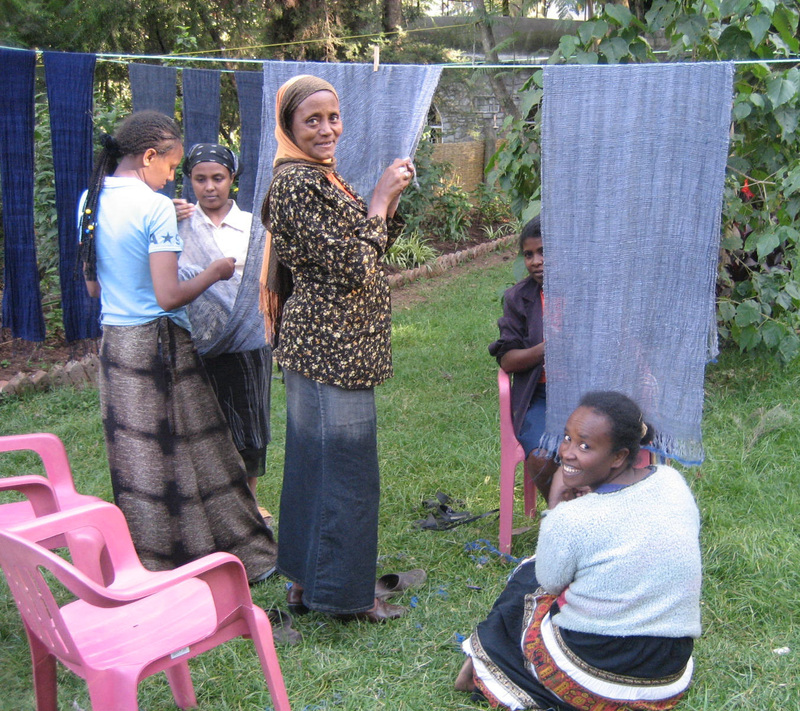 I had been working in Ethiopia on a safe abortion project, so I had connections in Ethiopia. I knew some artisans, and my daughter, who lived there, introduced me to some others. I thought the textiles were beautiful. I hadn’t necessarily thought I would be an importer. I never really thought about what that would be. I took a trip to Ethiopia and met with a number of different women in business, looking at possibilities and products I liked. I came back and talked with a number of people who ran businesses. I visited the NY Gift Show to see what kinds of products were being sold. I also invited a group of people to dinner, fed them well, then showed them the products I was thinking of selling and got their input. AtsGf/Rebecca: How does your business work? Ellen Dorsch: I work with women-owned businesses; they are the producers and I help them with design, color and style. They decide who they will hire, what they want to produce and how much to charge me for the products that I buy. They often hire young women to do, and offer training to those who want to grow in their job. Helping to create jobs has a huge impact on their lives; it lets them send their daughters and sons to school. AtsGf/Rebecca: Any surprises about running a business that are different than what you thought? Ellen Dorsch: I don’t think I thought! I jumped in in a small way. I didn’t have bank loans. I tapped into my limited retirement. I knew nothing, literally. It’s like weeding my garden: you pull out one thing and discover what else is there. When you look at the whole garden it feels overwhelming. But you start with one corner at a time, one weed at a time. I didn’t know a lot about business. I discovered how much I enjoy it. And both how difficult it is and how rewarding the business world can be. You are really responsible for what happens. Business is not a mysterious thing we can’t understand. It’s much more rewarding when you have a real mission beyond only making money. It’s nice to remember the mission when you make decisions. AtsGF asked Bill Dorsch: You are now working full-time with Creative Women. How did that happen? Bill Dorsch: I had retired as lawyer. We both knew I had the time. I said I’d be willing to work 15-20 hours a week but it turned into full time. I’ve learned a lot working in something I never worked in before. I’ve met interesting people I like. I feel involved in the mission of the business. And I am pleased to be part of that. I didn’t expect to be so committed to it. Creative Women will be at the New York International Gift Show from August 13-18 at the Javits Center. Stop by and visit if you are planning to attend. Tell her All the Single Girlfriends sent you! Continue the conversation with Ellen!